Suva is a 1925 pilot house schooner designed by noted naval architect L.E. (Ted) Geary. She was was built of old growth Teak in Hong Kong by shipbuilder Quan Lee in Hong Kong for Coupeville resident Frank Pratt. After construction, she was shipped to Vancover for outfitting. Suva is owned by the Coupeville Maritime Heritage Foundation (CMHF) and has been since the first part of May 2015. The CMHF is the sixth owner. She is manned totally by volunteers; crew, captains, docents and maintenance. 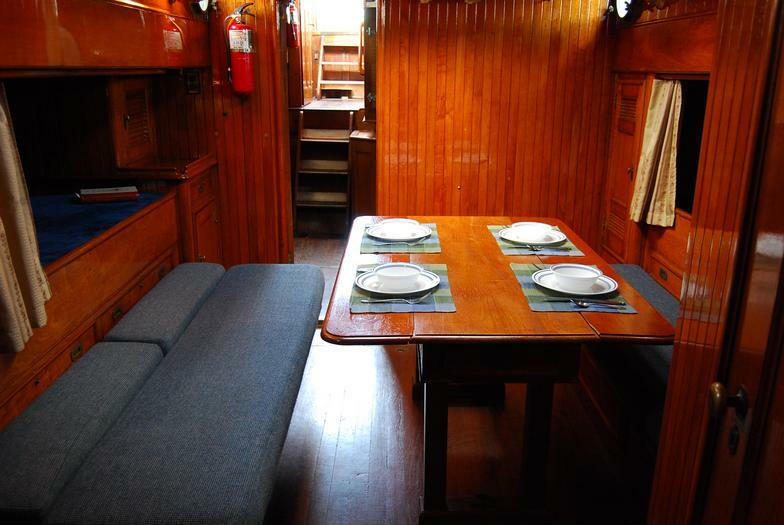 The schooner Suva was built in Hong Kong in 1925 for Frank Pratt, a Massachusetts lawyer who moved to Whidbey Island in 1908. From 1925 to 1940, she was anchored in Penn Cove. (I found an article on Frank that reported he bought Ebey’s Preserve land in 1901, so I am not sure if the 1908 date is good). Frank Pratt commissioned Ted Geary, a prominent Naval Architect in Seattle to design a vessel for Puget Sound waters for corporate and private entertaining. Suva was built almost entirely of old growth Burmese teak. After being built in 1925, she was then shipped to British Columbia where her spars were stepped. She was originally designed as a gaff-rigged schooner. Suva’s spars are Sitka Spruce. Suva is the capital of Fiji. Frank Pratt had an Uncle who worked for the British Government in Fiji, and helped design/layout the city of Suva. Frank reportedly visited and fell in love with the city. If you look on google maps, you can find a Pratt street in Suva, Fiji! 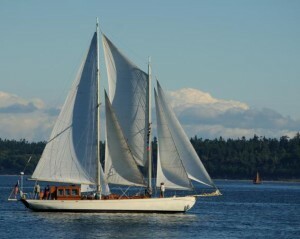 In 1960, Suva had a major refit and was re-rigged to a staysail schooner. The original Lawson-Scott gas engine was replaced by a 140-horsepower diesel Detroit 453. The 453 is a two-cycle, four-cylinder engine, 212 cubic inches. 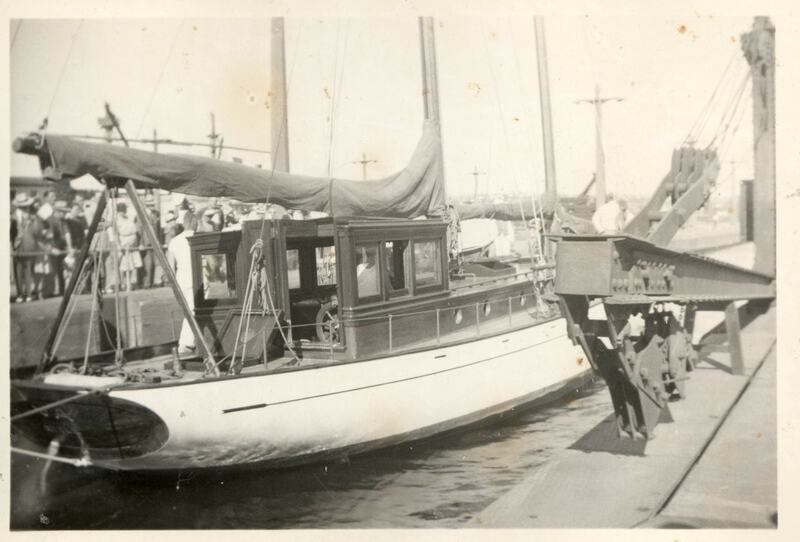 Pratt sailed the schooner for 15 years before gifting it to friend Dietrich Schmidt (for one dollar) and later his son Allen Schmidt, who combined had the boat for 40 years. 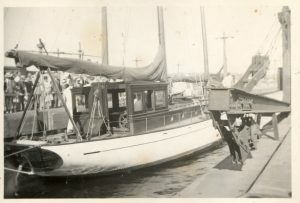 Suva then went to Bill Brandt of Olympia for about 25 years before returning to the North Sound to Port Townsend owner Scott Flickinger. The previous owner, Lloyd Balwin, bought the boat in 2009. 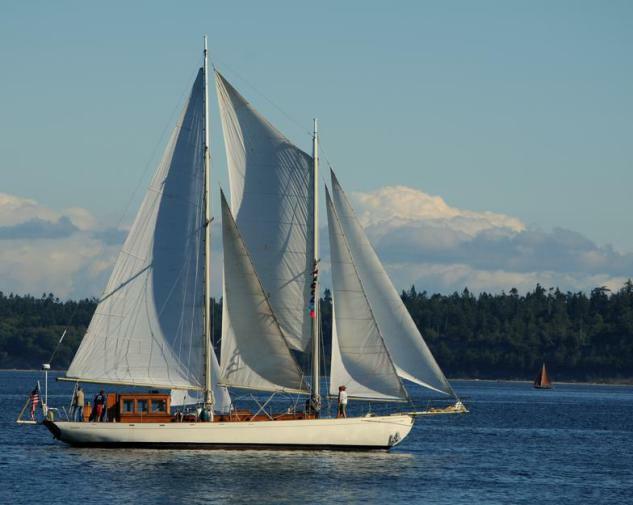 The Suva has always been kept in Puget Sound waters, with an occasional foray to Alaska. Masts are made of Sitka spruce. The main mast is 66 feet high. Bowsprit and boomkin purple heart (purple heart wood comes from Brazil and a couple of other South American countries and is called purple heart because as it ages it turns a purple color). Sanitation Recently (2016) outfitted with a modern 20 Gal holding tank and pump out fittings.